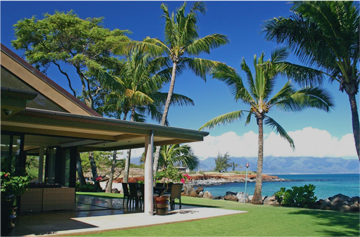 As a 26 year Hawaii resident, Kathryn Petty brings her Island lifestyle and her vast real estate experience to her clients providing buyers, sellers, and investors professional, responsive and successful real estate transactions. She enjoys the challenge of finding her clients the perfect property for their budget and lifestyle. 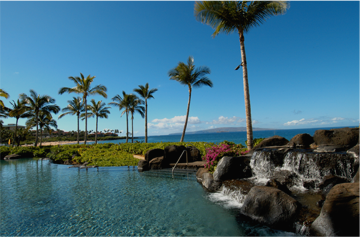 This success can be very easily attributed to learning the meaning of the islands’ most beloved word, ‘Aloha’. Aloha means love and hello in Hawaiian and for Kathryn it’s a cultural theme she has embodied and brought into her real estate career. Originally from Florida and then California, Kathryn grew up sailing, water skiing, and in her teens, surfing and swimming competitively. Becoming a top real estate agent was natural for her because her mother was a #1 broker for 30 years in her home town of Cocoa, Florida. After graduating from college she moved to California where she owned a showroom at the L.A. Merchandise Mart. Kathryn was one of the youngest women in the business at the time. Ten years later, Kathryn spent time traveling and changed careers to the film industry where she produced films and directed documentaries as well as “packaged” feature films for a living. 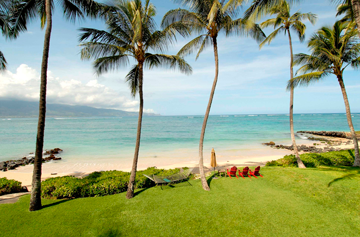 Upon moving to Hawaii with her family, she had an opportunity to live on Oahu, Kauai and finally here on Maui. She took time off to raise her son and help her husband in ministry. Kathryn’s reentry into the career world saw her back at her beginnings where she picked up her mother’s career and quickly became number one in sales and top producer in the South Maui Coldwell Bank office in 1996. This was followed by repeat awards for the same accomplishment the following year, the prestigious International Presidents Premier Award, which is given to the top 1% in the nation for real estate sales.